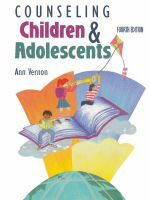 This new edition has been revised considerably to include even more practical information and “how to” strategies for counseling children and adolescents, as well as for working with families and parents. 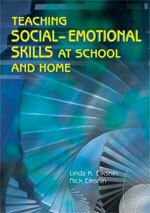 The authors present numerous empirically based approaches that are developmentally and culturally appropriate for counseling children. This text offers helpful information on the individual and group counseling process and includes a plan for designing a developmental counseling curriculum from primary grades through high school. 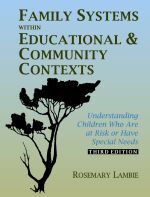 Comprehensive, up-to-date chapters specifically address counseling children who are at risk or who have special needs and children and adolescents from diverse backgrounds. Chapters on play therapy, rational–emotive behavior therapy, and brief therapy specifically describe how to apply these approaches with children and adolescents. The rich experiences of the authors as both practitioners and clinicians, in addition to being counselor educators, bring a wide array of innovations and creative techniques to this new volume. 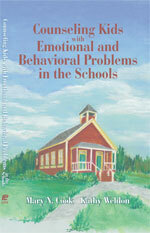 Counseling Kids With Emotional and Behavioral Problems in the Schools is a comprehensive text on counseling in a user-friendly format that makes it a joy for those who work with children with emotional and behavioral problems. Cook and Weldon explore different emotional and behavioral problems and the children who exhibit them, including children who are depressed, unsafe, socially impaired, anxious, selectively mute, school-refusing, disruptive or ADHD, and difficult. 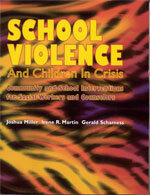 The book also examines working with classes or groups, as well as crisis intervention from the counselor’s perspective. 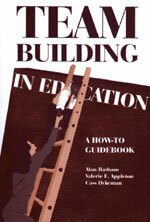 Categorized by emotional or behavioral difficulty, each chapter dissects the epidemiology and major characteristics of the problem, assessment techniques, and interventions. 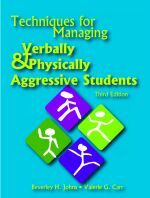 The text relates countless scenarios, dialogues, and case studies and provides activities, games, and sample behavioral contracts to be used by counselors, teachers, and parents.